Are you a veteran in the Coachella Valley area? The American Red Cross of Coachella Valley/Morongo Basin is partnering with the Palm Springs Air Museum to provide a free opportunity for local veterans to come together and discuss issues affecting the veteran community. If you are a veteran, Active Duty, Reserve, National Guard, Caregiver or a family member, we invite you to attend our first Lunch and Learn for Veterans in the Coachella Valley! The Red Cross is looking for your thoughts, ideas and feedback on several issues as it relates to Coachella Valley veterans. The American Red Cross helps members of the active duty military, veterans and their families to better prepare for, understand and respond to the challenges of military service. The Red Cross has many initiatives to support veterans of all military conflicts. Our Lunch and Learn is FREE of charge. Please RSVP by calling (888) 831-0031 ext. 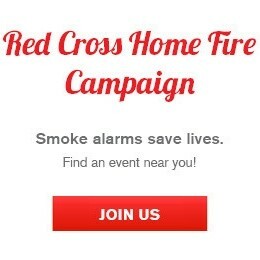 3012 or RSVP via email at courtney.norton@redcross.org.